If you’re about to drive on the motorway for the first time, you might be feeling a little daunted. It might surprise you, but motorways are actually the safest roads to drive on. It’s the speed you’re travelling at that makes all the difference between safe and unsafe motorway driving. Consider Pass Plus training to help you learn how to drive on the motorway with guidance from an approved instructor. 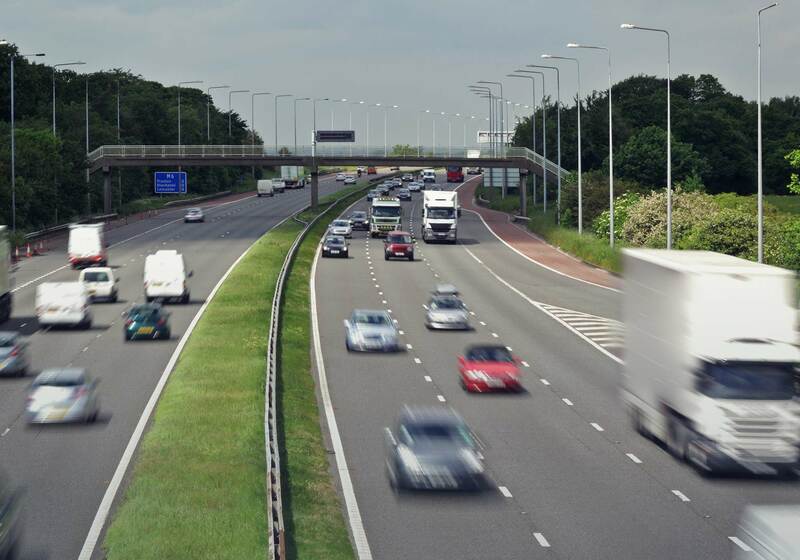 Get to know the Motorway section of the Highway Code so you that you’re comfortable with the rules, speed limits and layout of the motorway. Plan your journey before setting off — make a mental note of the junction numbers where you’ll be joining and leaving the motorway; it’s not safe to use a map while driving and you can’t always rely on satellite navigation. Make sure your car is safe to drive – check your oil levels, brakes, tyre pressures and windscreen wash fluid. Consider bringing along a more experienced driver such as a friend, parent or other relative for reassurance, if you feel uncomfortable. Before you join a motorway, build up speed on the slip road. Make sure you do a full observation, not forgetting the blind spot, and join the motorway when you know it’s safe to do so. When you leave a motorway, observe the interchange signs and make sure you’re in the correct lane in advance. The countdown markers appearing before a motorway exit tell you how far away the exit is, with each bar representing 100 yards. Use these to guide you as you prepare to cross over to the slip road. For more advice read Directgov’s handy guide to motorway signs, signals and road markings. You should only overtake if you’re sure it’s safe to do so. It’s crucial to judge the speed of the cars around you carefully and check that the lane you’ll be moving into is clear in front and behind you. Don’t forget to check your blind spot and signal in plenty of time. Be aware that if you hog lanes or tailgate on the motorway you could be faced with an on-the-spot-fine of £100 and 3 points on your licence. To drive safely, keep in-car distractions such as mobile phones, gadgets, snacks and anything else that could hinder your concentration out of sight. Do not Rubberneck! This is where cars slow down to stare at accidents on the other side of the motorway – this causes congestion and accidents. The motorway speed limit is 70mph but it can change several times on one stretch of road, particularly in the event of roadworks or an accident. So stay observant and look out for signs indicating speed limit changes and warning signs, used in the event of adverse weather, congestion or accidents. Watch out for variable speed limits on smart motorways like the M25. These are a measure by the Highways Agency to help ease traffic flow at busy times. Your speed on a motorway is faster than other roads, so your stopping distance will be longer. Keep a safe distance between you and the car in front, and remember to increase the gap if it’s wet, icy or foggy. If you start to feel tired, take a break. Only begin again when you know you’re safe to drive. We hope our guide will make you feel a little bit more confident when you have to drive on the motorway for the first time. Find more driving tips and advice on our blog.